A boat builder and incorrigible trickster, Floki is Ragnar’s closest friend. Committed to helping Ragnar sail west, he secretly designs and builds a new generation of Viking longboats. 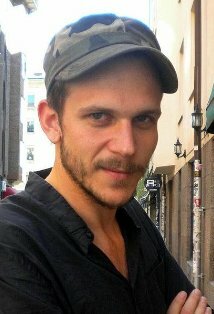 Gustaf Skarsgard is one of Sweden’s most prominent and prolific actors. He began acting as a nine-year-old opposite his father Stellan in Cod Name: Coq Rouge. After graduating from the Stockholm Academy of Dramatic Arts in 2003, he became an ensemble member of the Royal Dramatic Theatre. Skarsgard starred in many Swedish cinematic successes: Evil (nominated for Guldbagge for Best Supporting Role, the Swedish equivalent of the Academy Awards), The Invisible, Kidz In da Hood (earning a Guldbagge for the lead) and many more. In 2007, he received the European Film Academy’s Shooting Star Award. His latest films include Peter Weir’s The Way Back (co-starring Ed Harris and Colin Farell) and the Norwegian adventure drama KonTiki.